The world tends to look a lot differently to us when we’re kids. For whatever reason, our minds tend to wander and are generally a lot more unusual when we’re little and we have plenty of time to sit and think. With that mental freedom comes a greater sense of imagination and an open-mindedness that we may sometimes diminish when we get older. To put this in more explicit terms, it often means that little kids are hearing or seeing things that the rest of us can’t see—but we’ll leave the conclusions you draw from that up to you! Regardless, it can lead to some spooky incidents for parents. 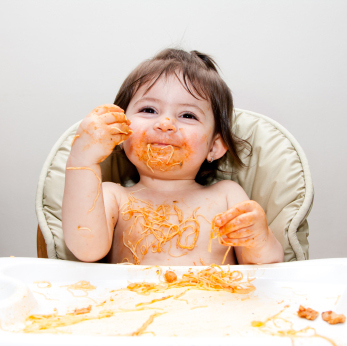 With no further ado, here are 30 examples of the spookiest, most unusual things that little kids have said. 1. Where would you learn something like this? We’ve all heard people say that the subconscious mind is pretty powerful, but have you ever heard of someone learning an entirely new language? 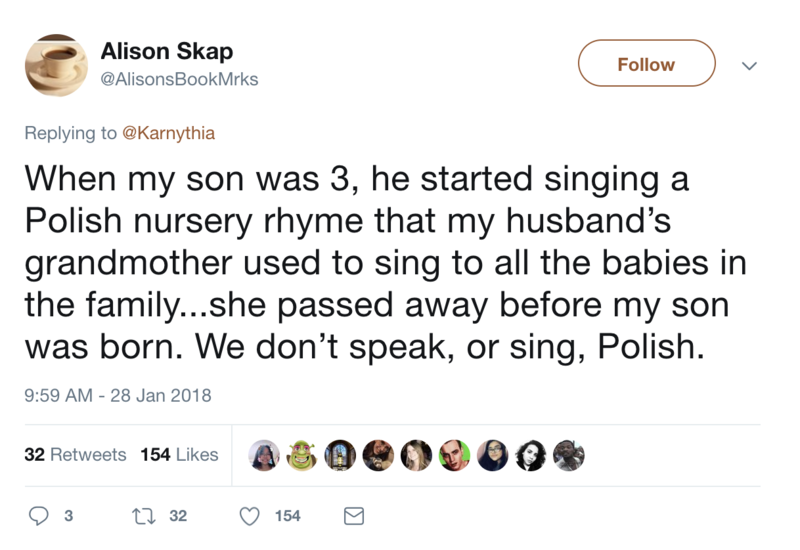 As it turns out, that’s exactly what happened to one three-year-old boy—and his mom saw it all. We’ve heard of accidentally learning snippets of a language and reproducing them in a dream, but how do you explain away something like this? If you or anyone you know has had a serious brain injury, you know just how strange the effects can be during and even after recovery. Although our altered perceptions could be just some kind of glitch in our brain chemistry, it’s tempting to think that they could also be giving us insight into the world around us. 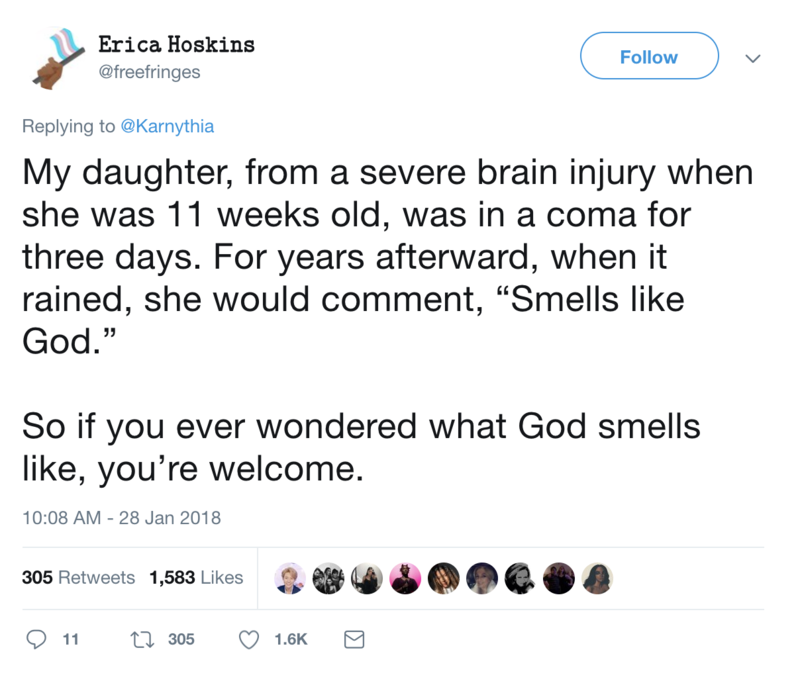 For an example of this, just consider what this little girl had to say about the smell of rain. 3. 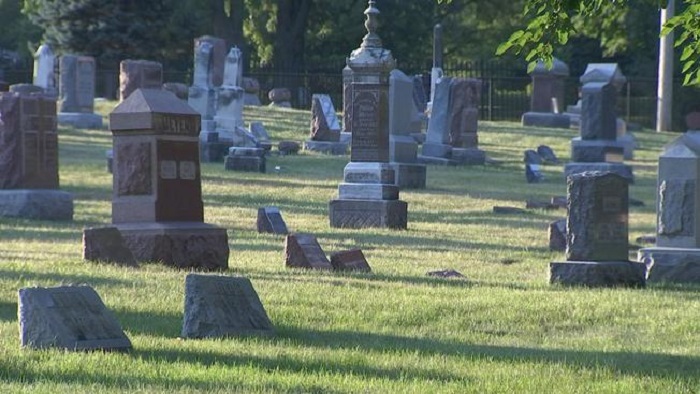 Nothing like seeing spirits at a graveyard. 4. Maybe past lives are realer than we thought. Though you’ve probably heard plenty of people talk about past lives before, there’s still nothing out there to prove that they actually exist. 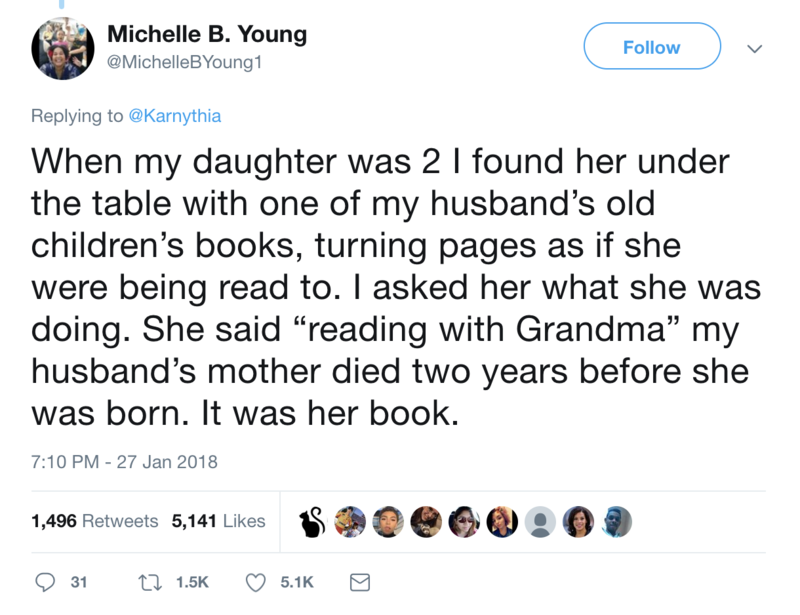 If you ask us, it’s more than likely that we don’t have any past lives—but then again, there’s something about this story that is a little strange. 5. Ok, now this one is just funny. 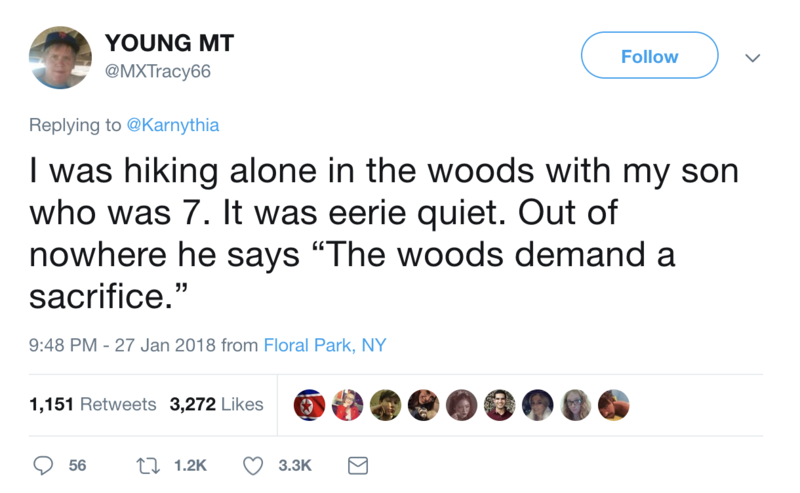 Going to the middle of a forest and walking around can be an unsettling experience for anybody. It’s where wild animals live and it can come to feel like it has a kind of spirit of its own. 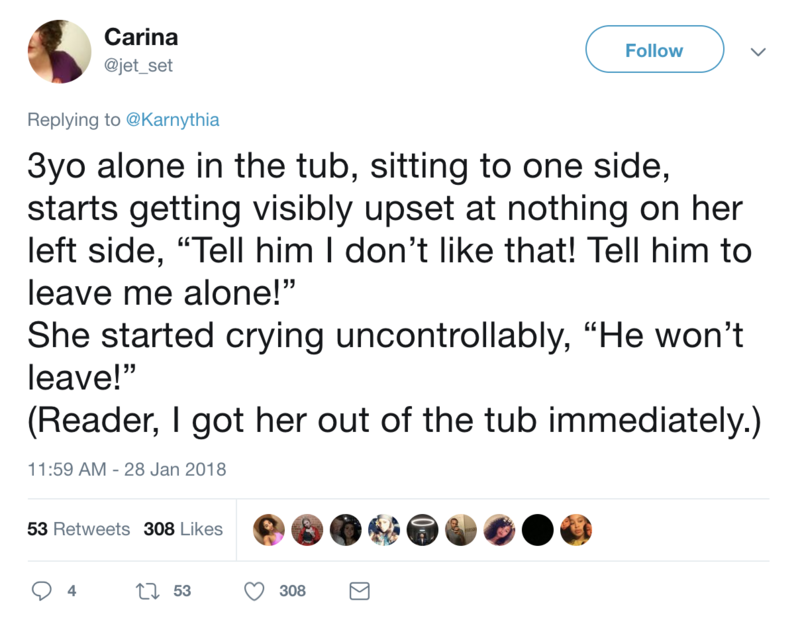 Sometimes, it helps when somebody says something to cut the tension… at least, we hope that’s what the boy in this story was doing! 6. How do you explain this one? The inner life of a child is a pretty mysterious. They can often see things and make connections that others wouldn’t make, or imagine relationships that others wouldn’t imagine. On the other hand, they may also have their own actual private lives with people we don’t know about… and when you show up at their doorstep, it’s even weirder. 7. How is that even possible? 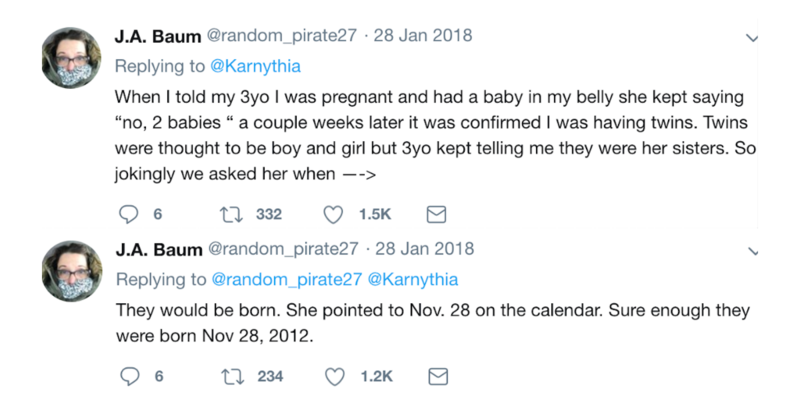 If it wasn’t clear by now, some kids seem to be borderline psychic at times. If you don’t believe us, just consider this particularly cryptic message heard at a pediatrist’s office. Having an active imagination is one thing but this is a huge coincidence if there isn’t some deeper meaning behind it. 8. Nighttime visits aren’t always welcome. Anyone who loses a family member knows just how devastating the feeling can be. Still, people often report having a feeling that their loved ones are still around somehow, or that they never really left. 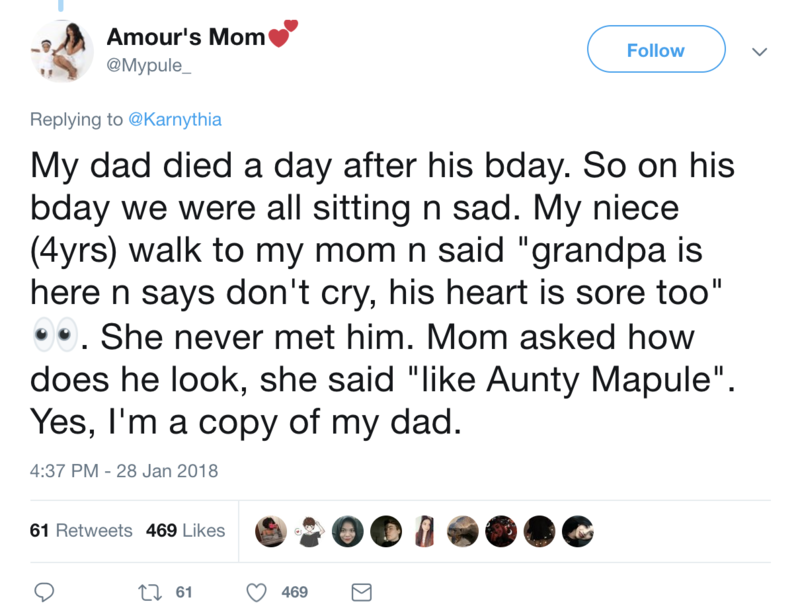 As a case in point, just consider this story about a woman who may or may not have been visited by her dead brother as a child. 9. Sometimes it’s just a generalized sixth sense situation. When someone is pregnant, there are usually some obvious signs of how far along they are. Still, in the earliest stages, sometimes the woman carrying the baby doesn’t even know if she’s pregnant or not. 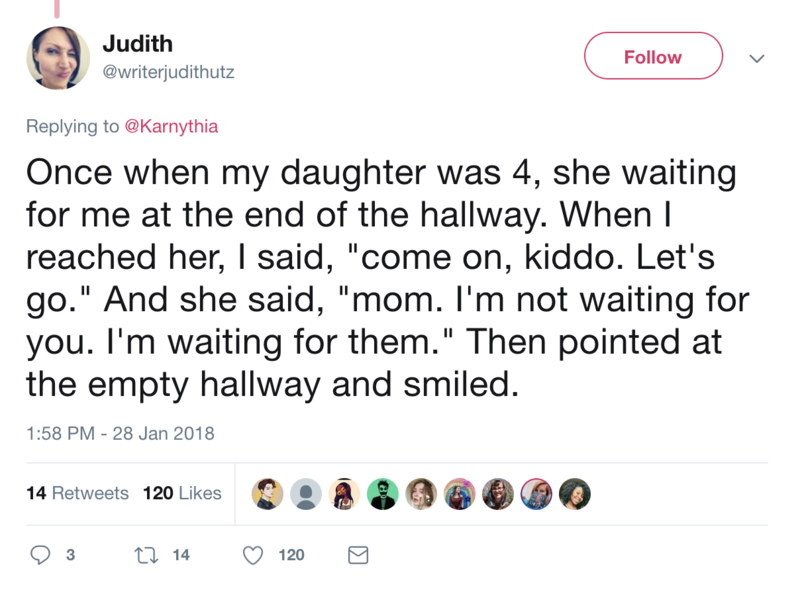 As it turns out, some of us must give off some kind of energy that others can pick up on—at least, some perceptive little kids can. 10. And sometimes these kinds of insights bring us good news. 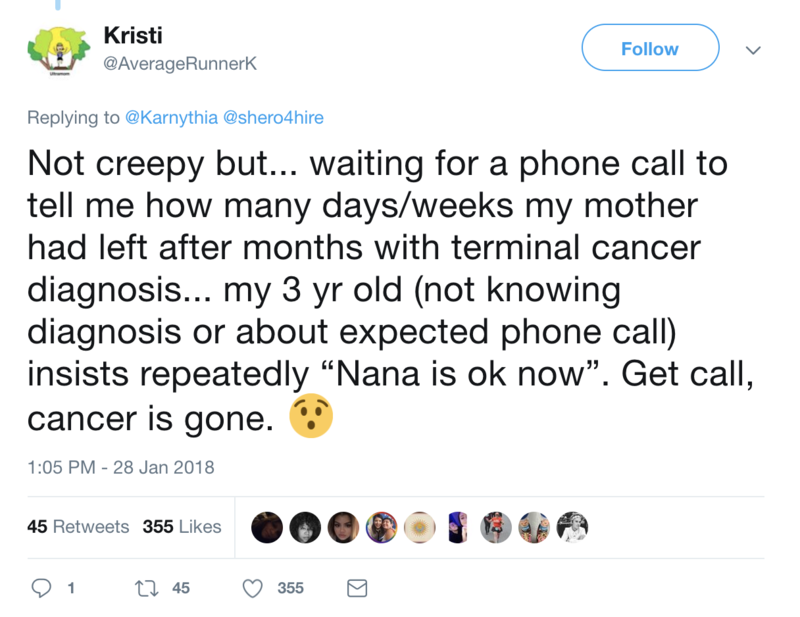 Waiting to hear back about a family member’s health is never a fun thing. In some cases, we may even consider a family member’s health beyond fixing and only expect the worse news. Cases like those make stories like this one all the more strange. Again, just another instance of someone having a strange sixth sense? 11. Encounters from the beyond can sometimes be very sweet as well. In a lot of these cases, there’s a feeling that the unusual experience can be excused away somehow by some normal explanation. 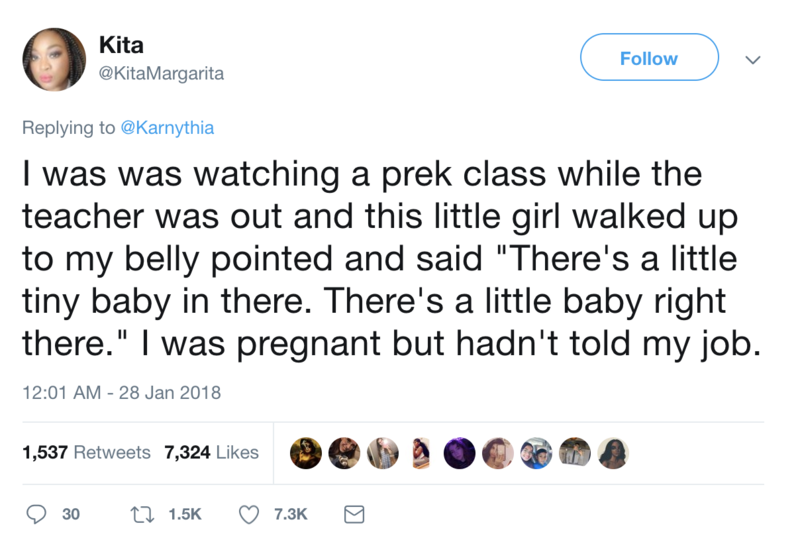 In stories like this one, it’s a lot harder to justify how a child would know something like this unless they were somehow aware of something we weren’t. We’ll leave the conclusions up to you. 12. If the last one didn’t convince you, what about this one? 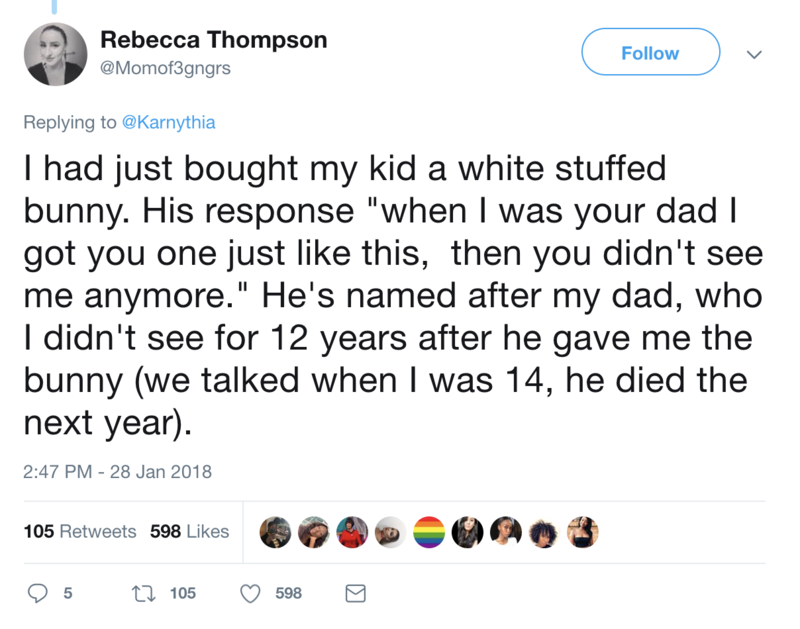 We don’t want to belabor the point too much, but there’s something uncanny when children seem to have information about dead relatives that they couldn’t have information about. 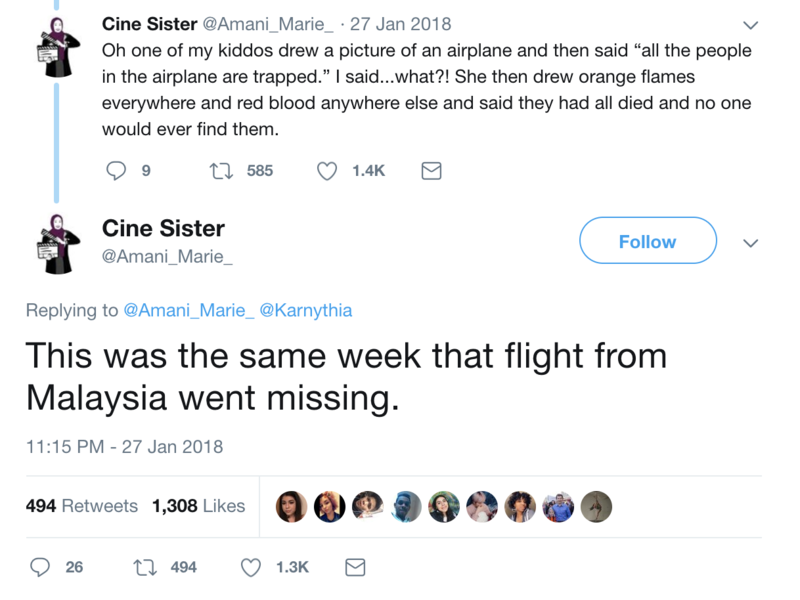 There’s always the chance that they heard some information somewhere else and then their imagination ran wild, but it seems a little hard to believe. What do you think? 13. Imaginary friend or ghost sighting? Imaginary friends are a pretty normal part of childhood, but they’re still somewhat mysterious when looked at from an adult perspective. Though we didn’t all have them, everybody probably knows someone who did. Still, sometimes the friend is less of a friend and more of an… apparition. In the case of this story, we’ll let you decide if this was all in her imagination or not. 14. Ok, now this one is just upsetting. 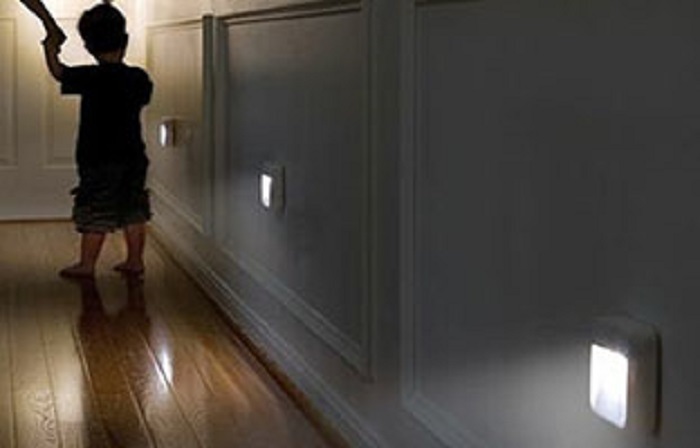 Seeing one apparition is one thing, but what if your child sees an entire group of them all the time? 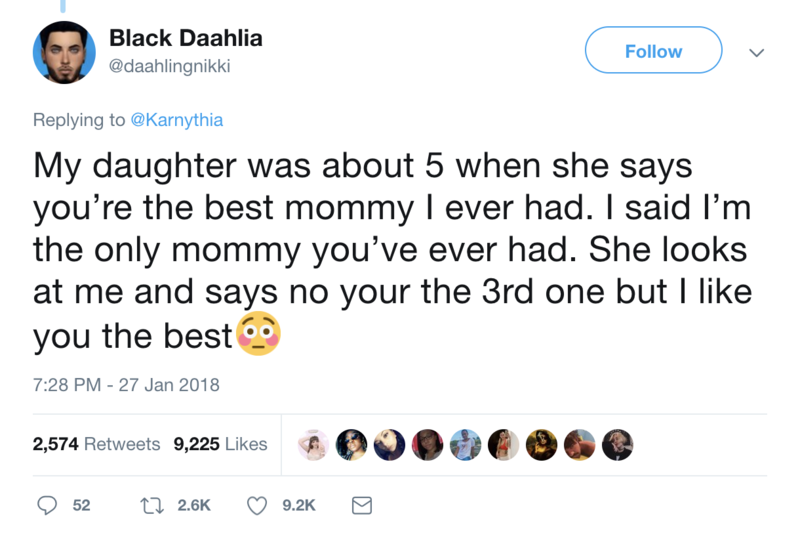 We hope you never have to go through that experience yourself, but this mother did. Maybe this is all just a weird joke, but if not, consider us thoroughly creeped out. 15. Pretty hard to explain this one away. We get having a sixth sense about certain things or just having a hunch about how something is going to go. 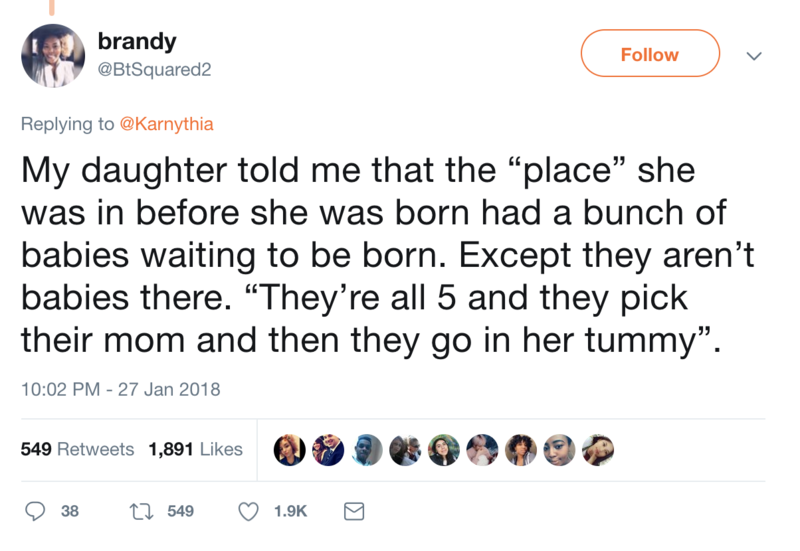 Still, it’s a different thing entirely to make several different, specific predictions about what babies your mom is going to have and when they’re going to arrive! We wish we had this strong of a sense of the future sometimes. 16. Nothing unusual about this one—just standard creepiness. When we’re young, we’re often testing the waters about how we can behave. We learn what’s acceptable by experimenting with our social behavior. Sometimes the people around us think it’s ok, other times they don’t. 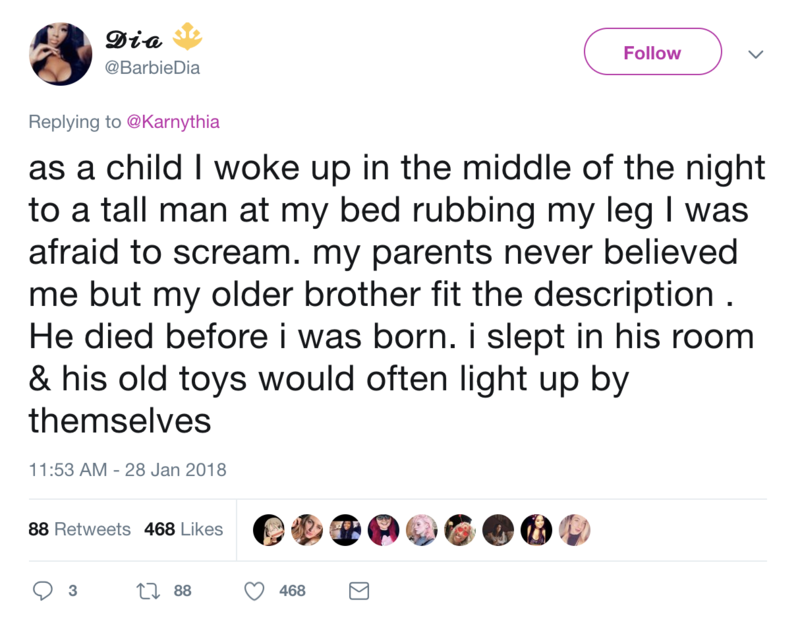 We’re going to say that’s exactly what was happening in this creepy situation below. 17. Once again, this is more than a little bit strange. 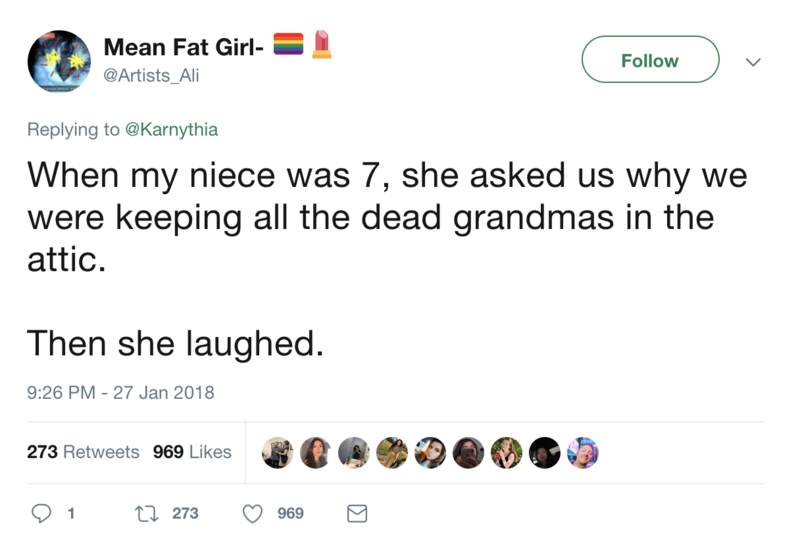 If you have a child who claims to see dead relatives, you’re either going to take comfort in it or be terrified by it. When it comes to seeing things or people who aren’t there, we’re going to say that we generally lean towards being freaked out—but you can make your own decisions. 18. 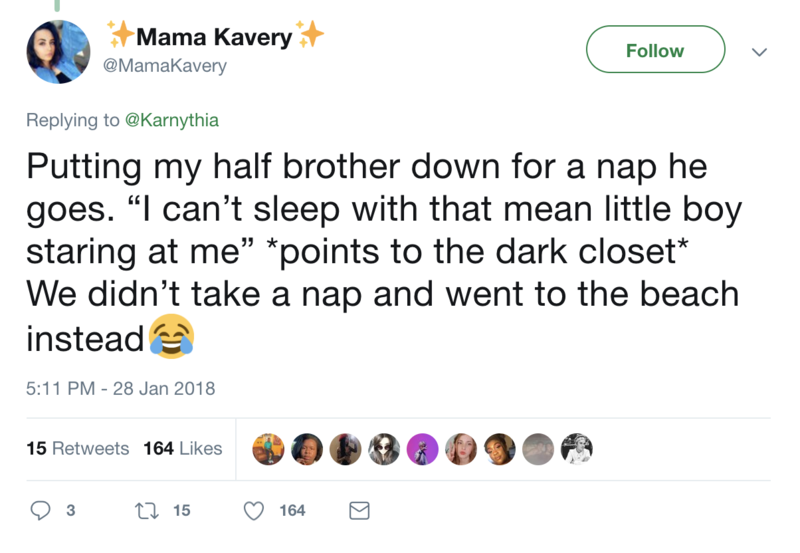 We wouldn’t be able to sleep either. 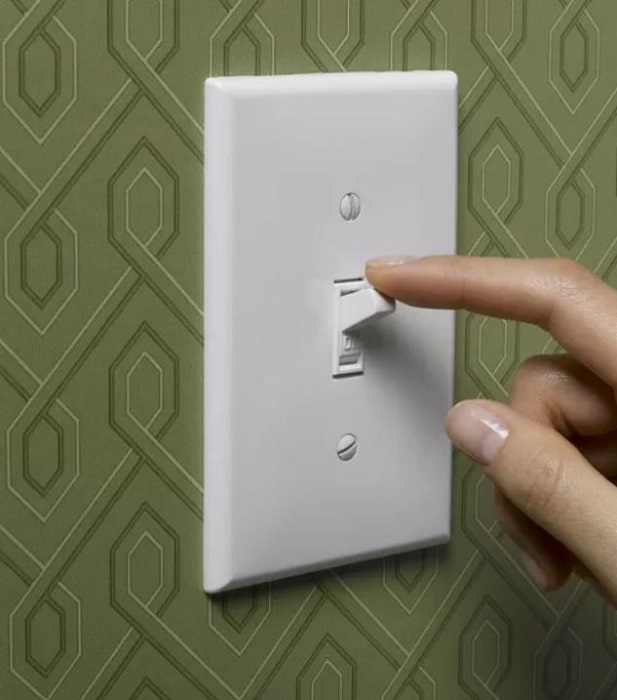 No matter how old you are, there’s always still a chance to freak yourself out when you’re trying to go to sleep. If you’ve ever had sleep paralysis or woken up from a particularly bad nightmare, you know what we’re talking about. 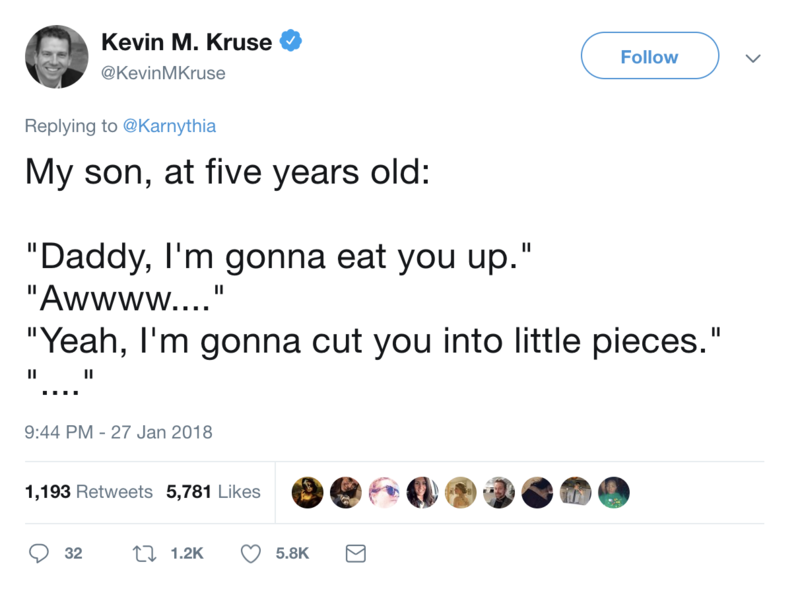 Still, little kids seem to have more intense versions of this than we do. Like we said: we probably wouldn’t have taken a nap either. 19. Ok, this one is pretty funny. 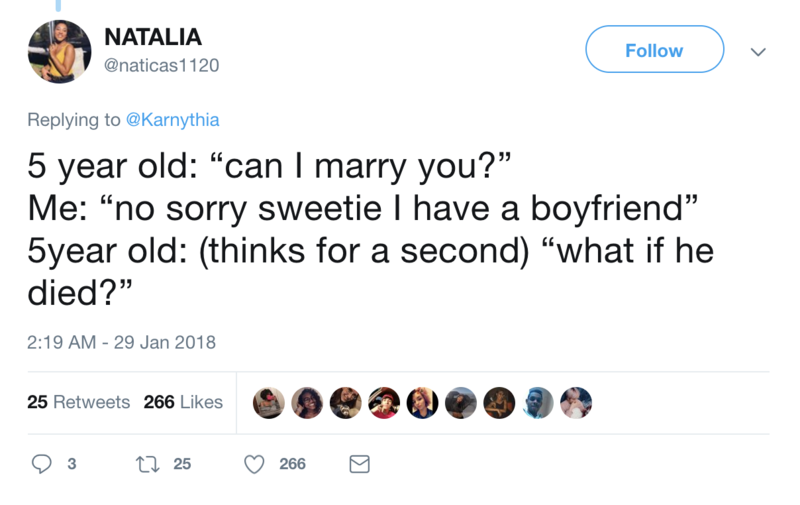 Have you ever had your eye on someone who had a boyfriend or girlfriend? If so, you know the jealousy and the other painful emotions that sometimes accompany an unrequited crush. When you’re really little, it’s not unusual to say that you want to date or marry your one of your parents—and sometimes you have to do some pretty extreme things to make that happen, as it turns out. 20. This could be a coincidence but it’s still pretty strange. Sometimes there’s an unconscious thing that happens where a group of people pick up on the same idea “in the air,” so to speak. This kind of thing can happen when someone comes up with a scientific breakthrough in one part of the world at the same time somebody else does. In this case, it’s a little darker of a discovery than that… but what do you think? 21. This is a big “no thanks” from us. One imaginary friend is enough to deal with. After all, it can get some getting used to that your child has a friend who you can’t see or hear. 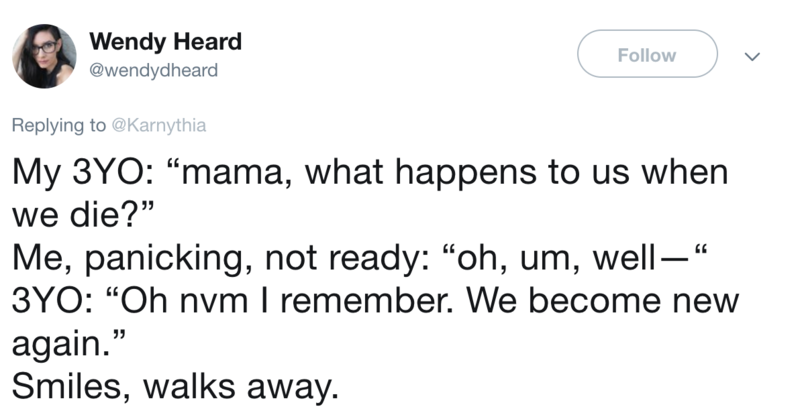 Still, when you’re getting ready to go and your child is inviting a whole group of invisible people to come with you, that’s where we have to draw the line. 22. Of all the ones on this list, this one might be the most disturbing. 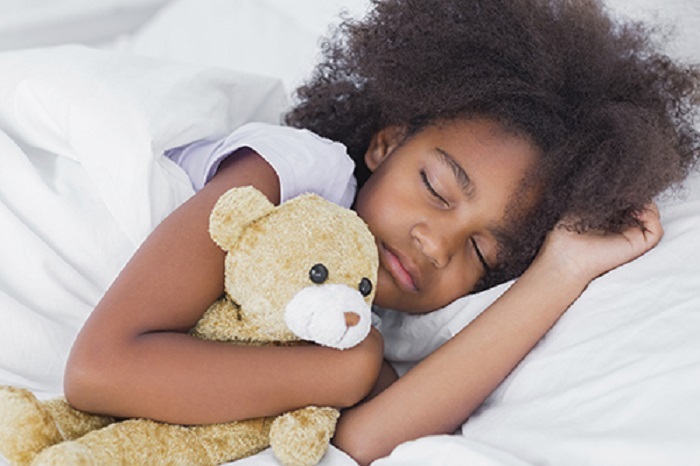 As we’ve said already, there are plenty of ways to explain a lot of the things on this list by saying that children just have overactive imaginations. You could say that about this and maybe you’d be right. Still, how freaked out would you be if somebody snuck in your room and whispered in your ear like this? 23. This is definitely a little strange. 24. In a way, this one is kind of cute. The idea that babies might have some kind of choice about which family they want to join isn’t a completely new one. Still, it is new to consider that all of those babies are five years old hanging out together in heaven! We’re not sure if we completely believe this, but it’s still nice to think about. One of the world’s most popular theories about the afterlife is that our spirits or souls somehow get reincarnated in new bodies. Another popular theory along those lines is that reincarnated souls actually stay within families as well. If you believe that, consider this story as evidence. 26. Ok, we’re terrified now. Sometimes our kids don’t have to be doing anything supernatural to freak us out. In some cases, it’s just that they are particularly attached to us and have a strange way of expressing that. We’re sure this little girl didn’t mean any harm by this… still, it’s more than a little bit unsettling. 27. 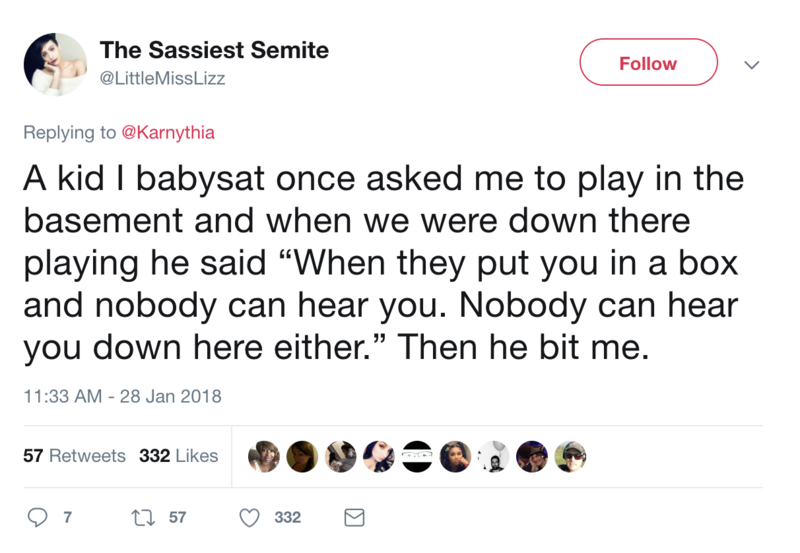 It’s never pleasant to feel like your child is somehow in danger. Even if we can’t feel or see the things that our kids are threatened by, we still want to respond to those threats when they arise. 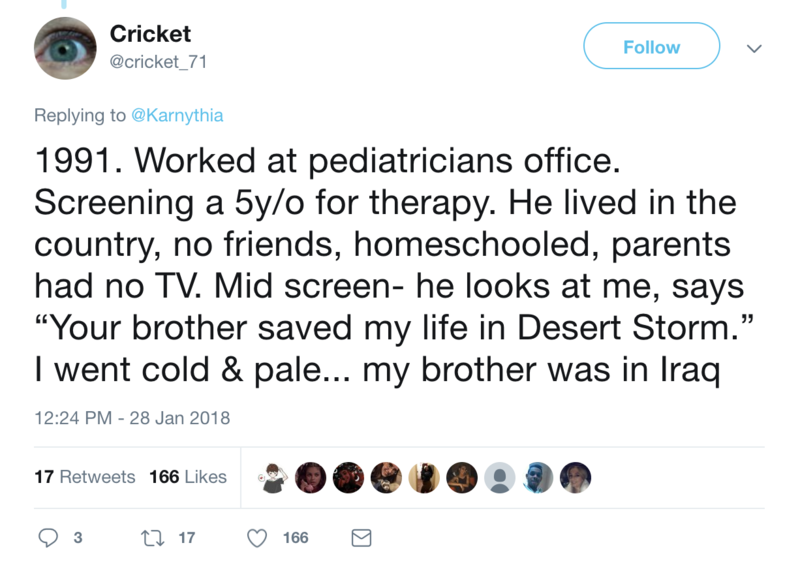 As we’ve said, we can all get pretty used to kids having imaginary friends and seeing things—it only really becomes a problem when they’re disturbed by the things they’re seeing. If you ask us, we would’ve done the same thing. As we’ve said already, being a kid means testing the limits of our social interactions all the time. Sometimes, that includes thinking some dark, weird thoughts and actually saying them out loud. And that sometimes means hearing our kids say they would chop us up. Ok, then. 29. Well this is upsettingly specific. 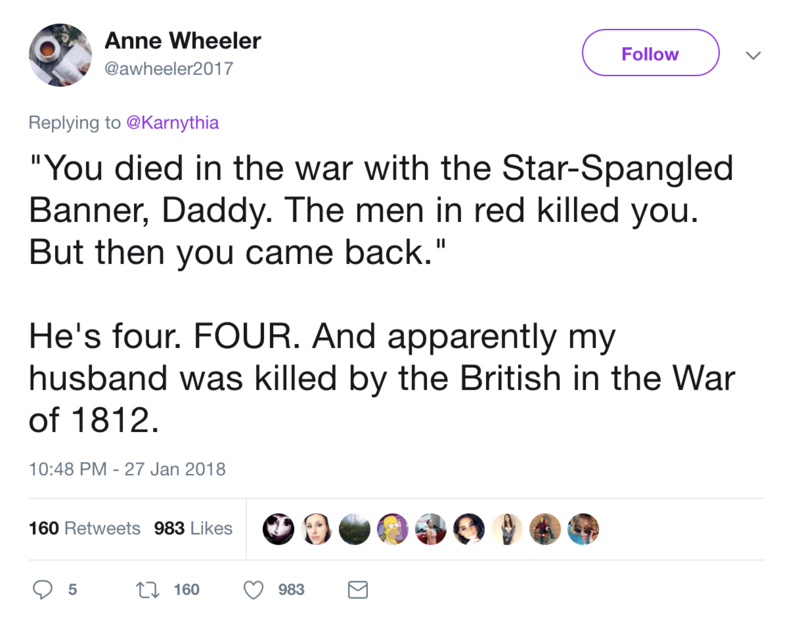 When you’re four years old, you probably don’t know much about American history. Your knowledge of the Civil War is probably pretty limited, no matter how precocious you may be. With that being the case, it’s pretty alarming when your kid tells you that you’re a reincarnated Union soldier. We’re not sure how to take this one. 30. The human mind is a fascinating thing. 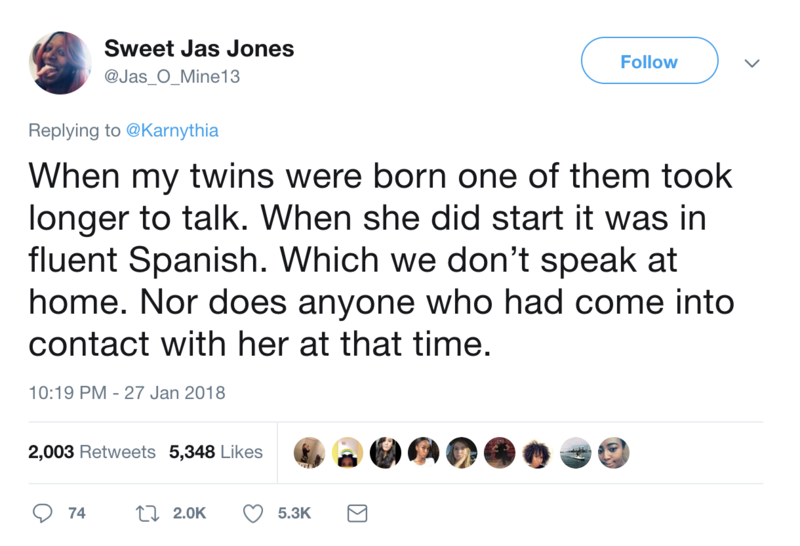 By this point, we’ve covered plenty of stories about kids and others suddenly being able to speak a language they’ve had no exposure to. There may even be some strange scientific explanation for some of these stories (though we don’t know them). Still, it raises a lot of questions about our own consciousness and about the consciousness that we may all share. 31. 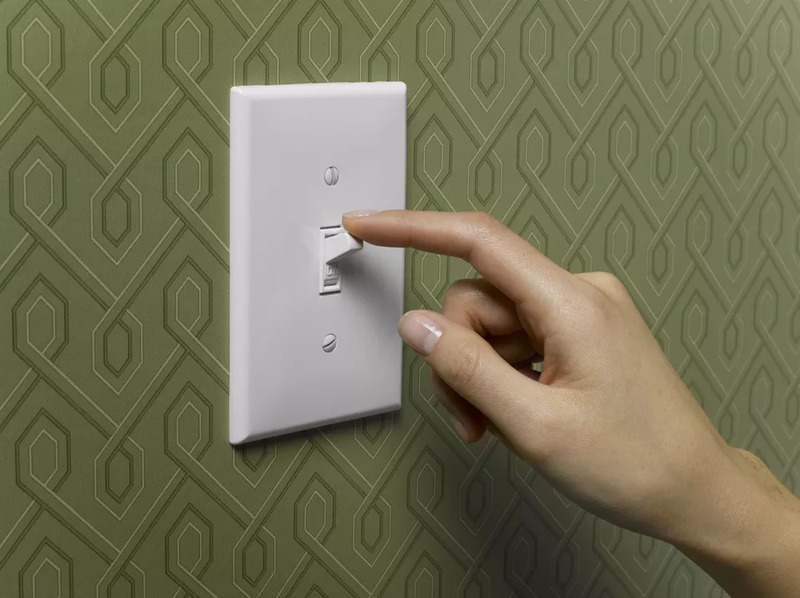 So, when did you turn on, exactly? This one is short and…well, not so sweet. 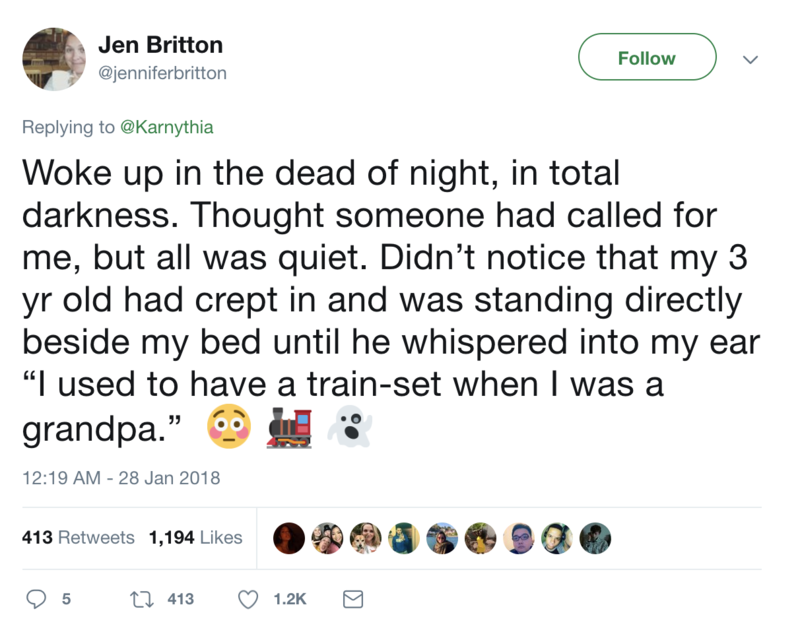 Reddit user Bcnlennontomato told their daughter, “Good night, baby.” The sweet little girl replied, “See you in your nightmares.” If there was any way to make sure that happened, that’s probably it! 33. 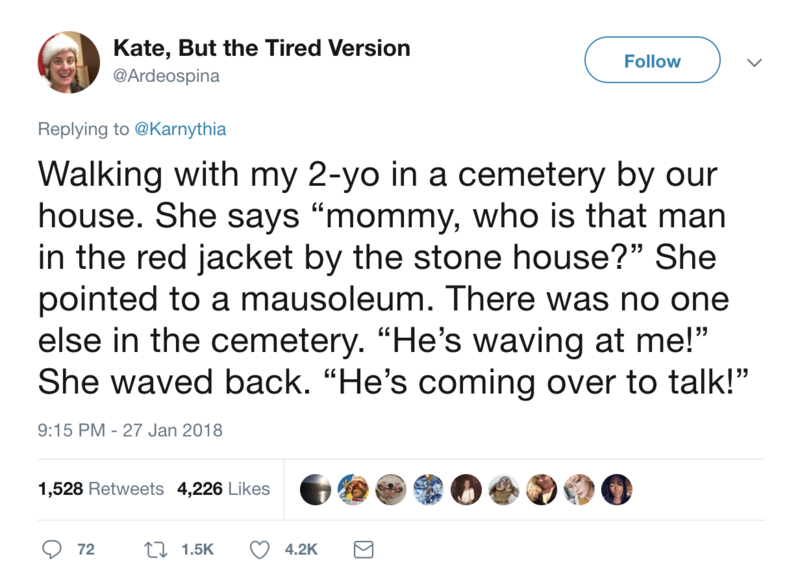 This kid actually prepared the graves. 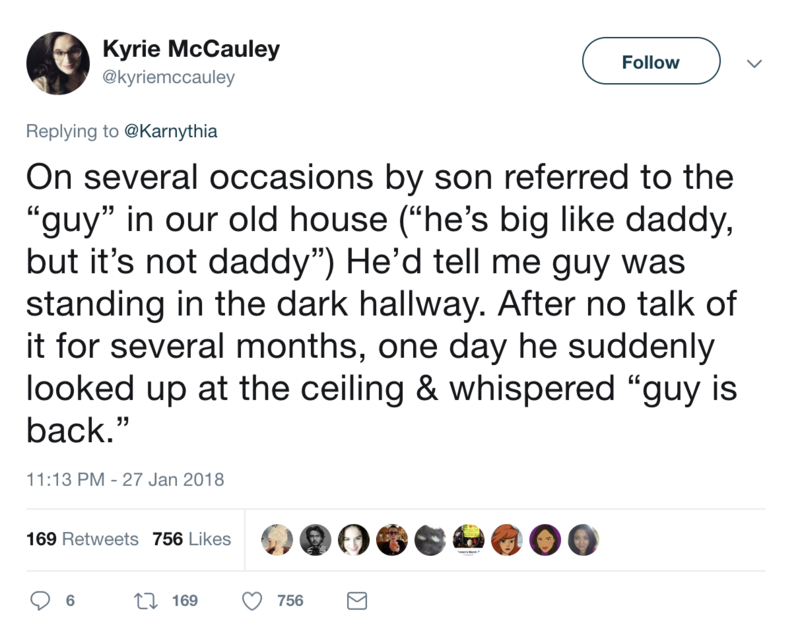 It’s not enough that this kid was saying creepy things. After saying, 7“All grownups are going to die. 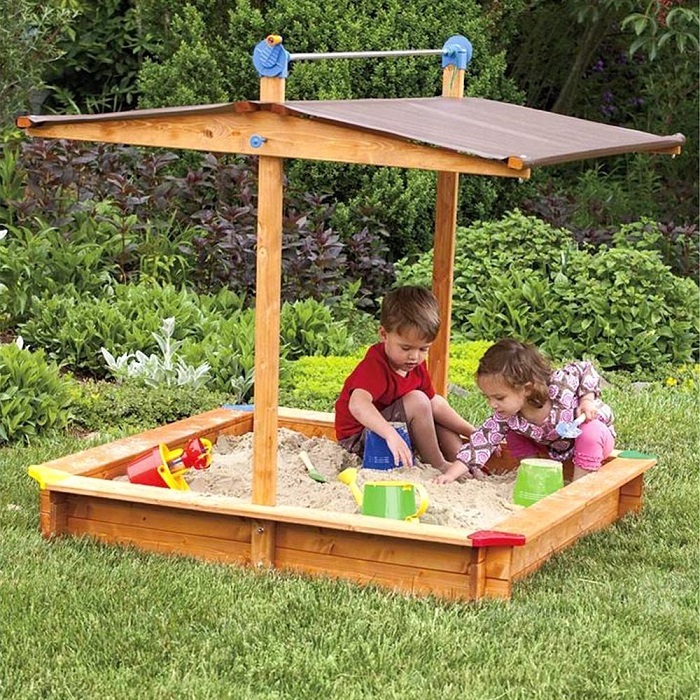 We’ve dug pits where we are going to put you.” True to her word, she’d prepared some graves in the sandbox. 34. Oh great, this one comes with a picture. 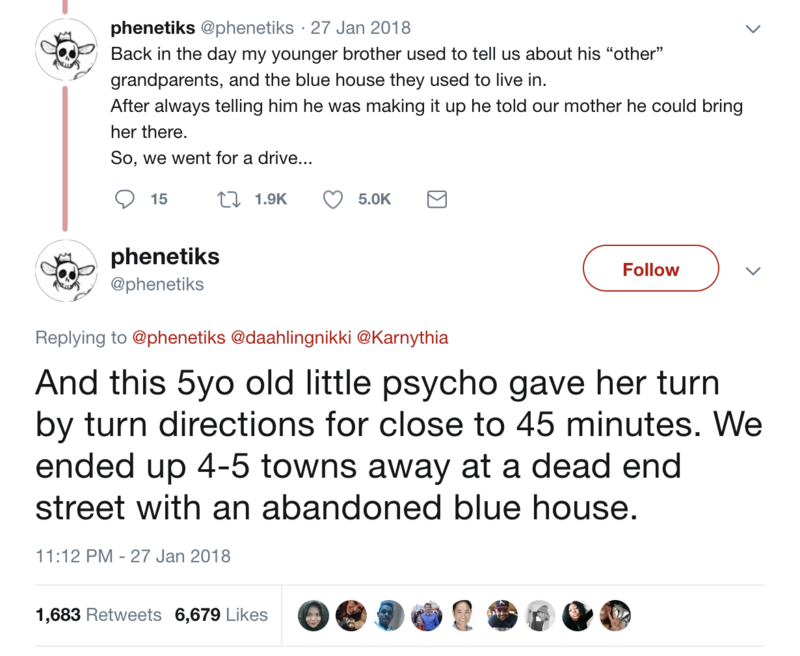 If there’s anything creepier than a kid saying something eerie, it’s them actually representing it. 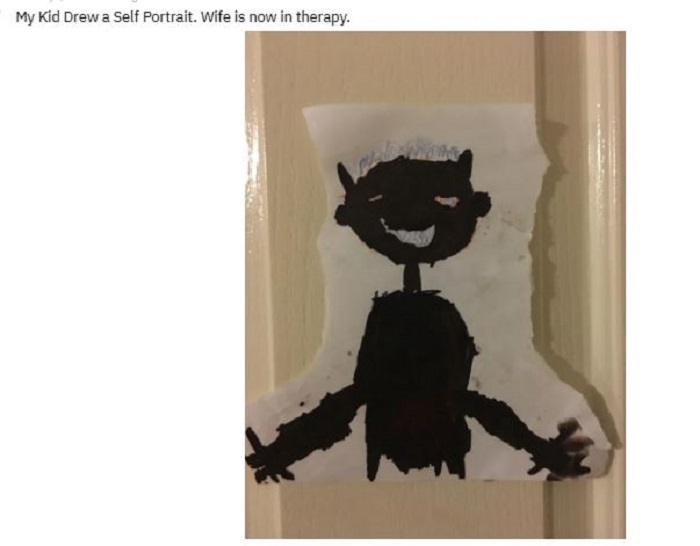 This is a self-portrait one Reddit user’s child did …. They mention their wife is in therapy now. 35. 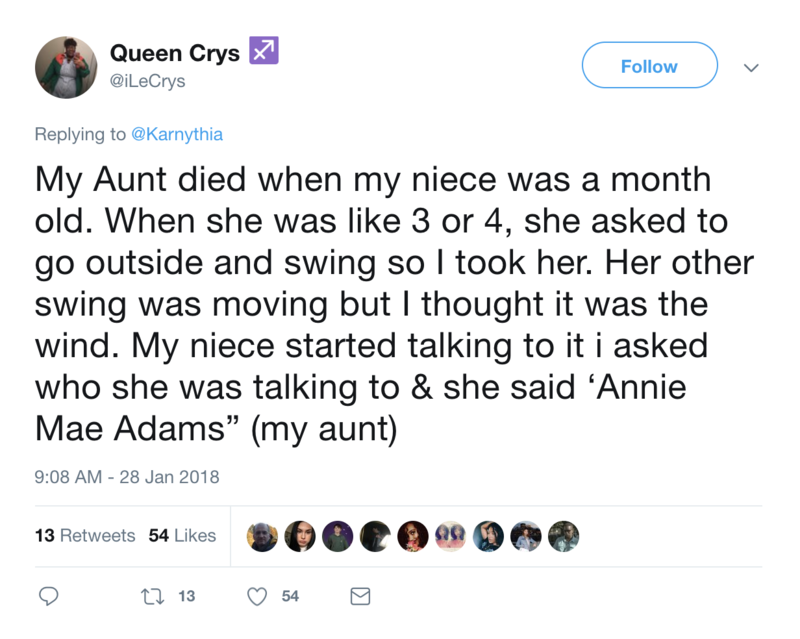 Does the aunt remember that, too? “I love nightmares, I have them every night. They are my friends now,” said a 7-year-old who isn’t afraid of the monsters under the bed! Apparently, she doesn’t mind watching scary movies. One Reddit user was chatting with a little boy at the daycare where they work and mentioned his mother. “Well, I can’t, because Mommy’s underground, so I can’t,” said the boy. It’s creepy, sad, and awkward all at the same time. 38. 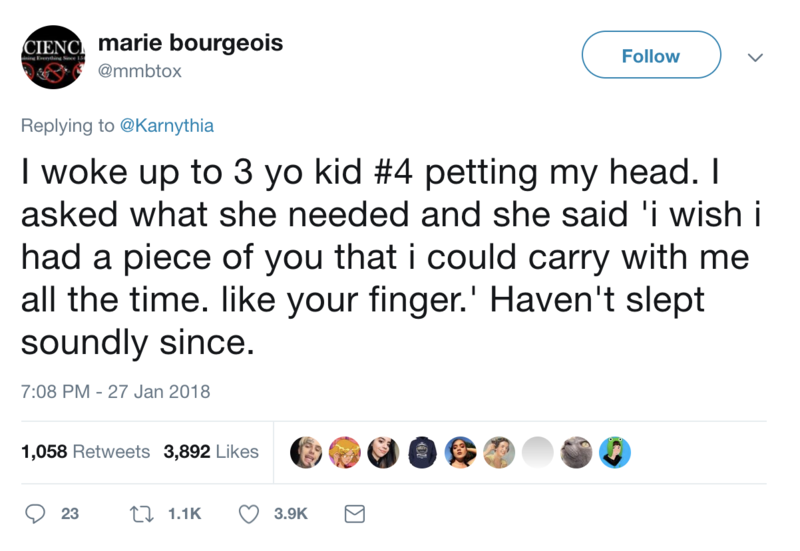 Please go back to bed.